Kamen Rider Agito Blu-Ray Release Announced- Coming September 2016! The next Kamen Rider series to make the jump to Blu-Ray is Agito! 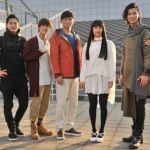 The series’ leads- Toshiki Kashu/Agito, Jun Kaname/G3 and Yuusuke Tomoi/Gills -reunited for the first time since filming to announce this exciting new release for the 2nd Hesei Rider series! At present the first BluRay volume is set for release on September 14, 2016. 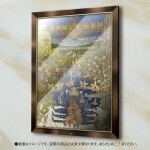 The price is a steep 19,800 yen for the set. Sadly, details regarding special features are unconfirmed at this time. 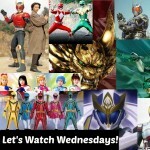 Stay tuned to Tokunation for further details! Medicom RAH DX Agito Shining Form Announced! 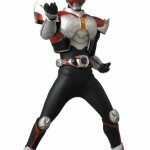 The latest RAH(Real Action Heroes) release from Medicom has been announced as Agito Shining Form! 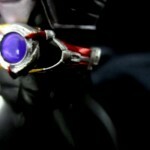 S.H.Figuarts Agito Burning Form Teaser! Tamashii Nations has announced through their Tamashii Feature’s Vol. 6 blog that we’ll finally be getting an S.H.Figuarts Agito Burning Form! Release info is still TBA. Thanks to Tokunation member bluesparrow for noticing!